Blue Kush by Dinafem results from combining two legendary strains - Blueberry and OG Kush. It is an extraordinary mid-sized hybrid with a light Indica dominance, with a tough structure, with short distance between nodes and with medium-sized leaves. It gives good results regardless of the experience of the grower. That's why abundant crops of big, compact, totally resin-covered buds are easily obtained. It boasts a beautiful purple/violet colouration when the plant is exposed to a dramatic drop in temperatures at night. It develops marvellously, both indoors and outdoors. Its aroma and flavour are fruity and complex, with fresh notes of lemon, pine and berries. 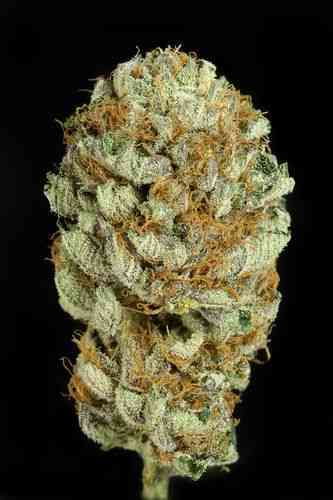 Its effect is potent, more cerebral than physical, and long-lasting. riecht nach blueberry und haut um wie kush. ertrag ist auch super! 100% gekeimt.